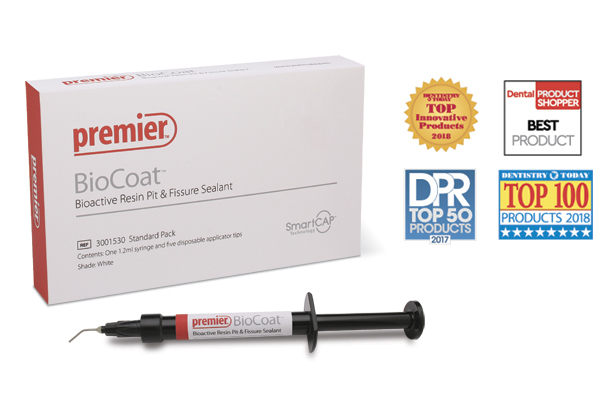 Premier® Dental’s new bioactive resin pit and fissure sealant featuring SmartCap™ Technology1 provides relentless protection, outstanding adhesion and extended fluoride release. Maximize your protection with BioCoat Bioactive Resin Pit and Fissure Sealant! SmartCap™ Technology, developed in partnership with Creighton University, utilizes patented semi-permeable resin microcapsules. 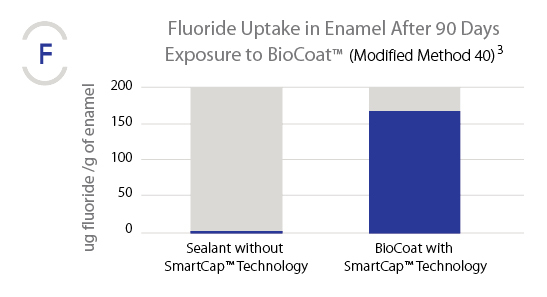 In BioCoat, the rechargeable SmartCap microcapsules are filled with ionic solutions of fluoride, calcium and phosphate, which diffuse in and out of the sealant. Studies have shown that even at six months, ion release continues at a significant rate. The rechargeable SmartCap microcapsules are filled with ionic solutions of fluoride, calcium, and phosphate. 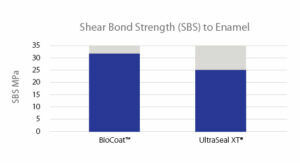 BioCoat is a heavily-filled resin formula that provides added strength and excellent long-term resistance to wear, with a compressive strength comparable to flowable composites. The resin formula is very resistant to oral solubility, a problem glass ionomer and resin filled glass ionomers sealants cannot overcome. BioCoat’s Thixotropic properties allows for thorough penetration and adaptation into even the tiniest pits and fissures. 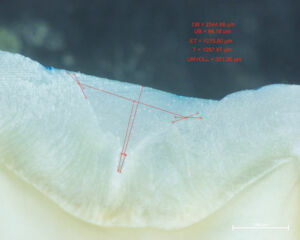 No dye penetration indicates no microleakage. 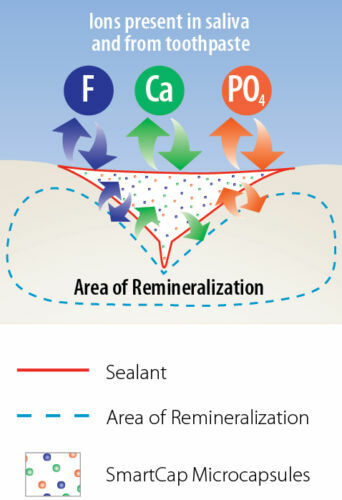 SmartCap Technology, developed in partnership with Creighton University, utilizes patented semi-permeable resin microcapsules. In BioCoat, the rechargeable SmartCap microcapsules are filled with ionic solutions of fluoride, calcium and phosphate. 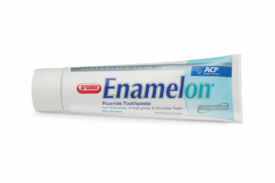 Tooth surfaces, both in contact and adjacent to the sealant, benefit from the extended release of these ions. 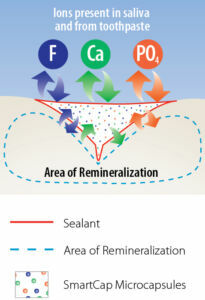 The demineralization cycle is disrupted and the remineralization process is continuously supported. The exchange of ions and recharge of microcapsules extends maximum protection without putting the sealant’s physical integrity at risk.